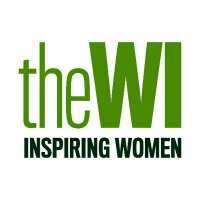 It is with much regret that Hepworth & District WI decided to close at their meeting in January. It was especially sad after celebrating our 70th Anniversary last month when we welcomed back some ex members and friends and had a very enjoyable evening. Unfortunately our numbers have dwindled and every WI needs a reasonable group of members some of whom are willing to take on the committee tasks which although not heavy do require some time and effort. Fourteen years ago Barningham WI joined with Hepworth WI as both WIs had few members and together they had a much better sized WI. This worked well for a number of years but now we have even fewer members and it is the right time to close. Although nationally the WI is gaining numbers in towns and cities there are fewer women in rural areas who feel they can join the WI and help run their local branch. We know this is a mixture of the subscription cost, age, driving at night and not wanting to take on extra responsibilities. Fortunately there are still a number of local WIs in our area including Stanton, Walsham le Willows, Great Ashfield & Badwell Ash and Rickinghall who all would welcome new members. There is also the possibility of a new WI arising from the ashes maybe later this year or next year. This WI could meet in the morning and maybe cover more than one village but we must wait and see.